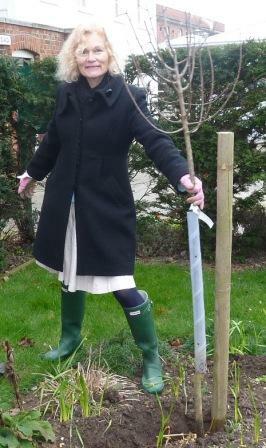 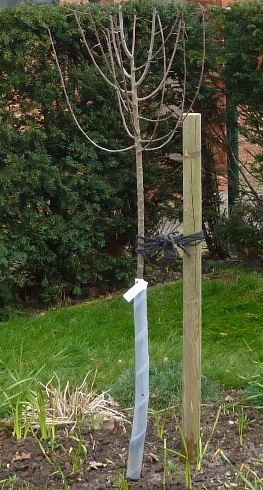 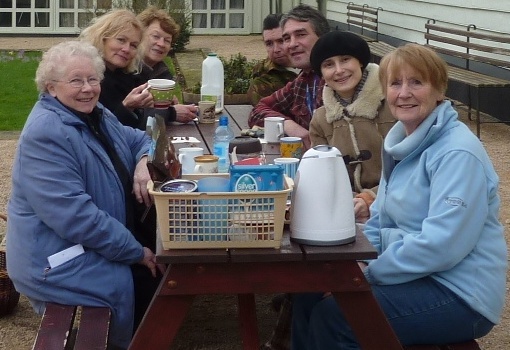 Our latest acquisition, a Shropshire Prune (Damson) tree, was kindly donated by Penny and Richard Russell. 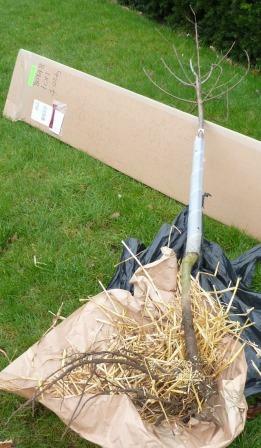 The Shropshire Prune (Damson) tree, unpacked and waiting to be planted. 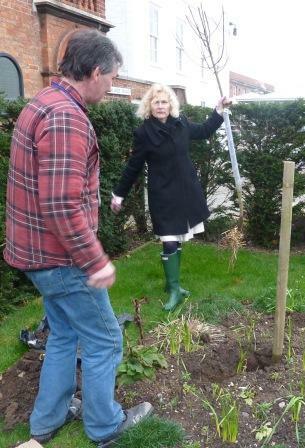 Being brought to its planting hole.